It's the end of a long day and a late night over here, but I definitely wanted to get a quick post up for you guys before I hit the sack. It doesn't get much simpler than this, but hey—it's pretty neat! 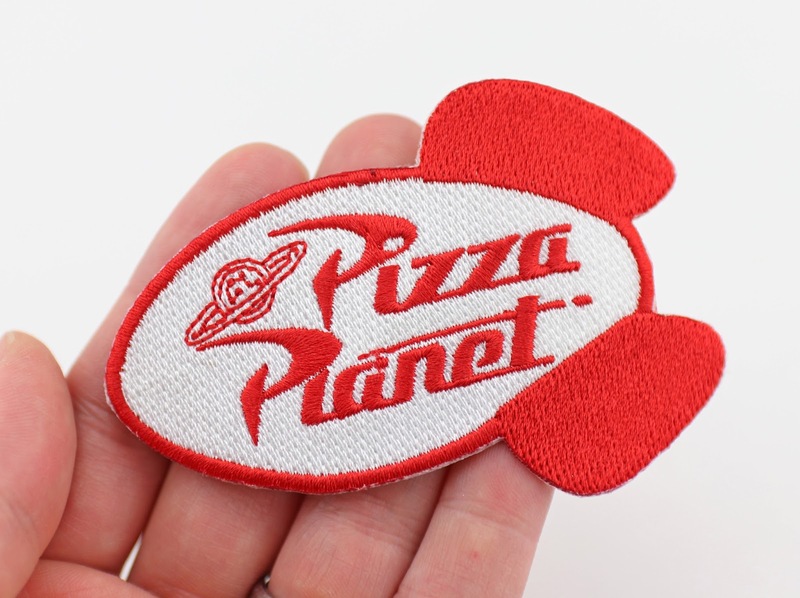 Check out this cool Toy Story Pizza Planet logo iron on patch that I purchased during my visit to Pixar this past fall. This item is exclusive to the Studio Store and retails for just a couple bucks. For those reasons alone, I couldn't resist picking it up! There were other iron on options there too (they're in a little bin near the registers), but this was the one that stood out to me. You know I love anything Pizza Planet. As far as size, this little guy is just over 3.5" long. It's perfect for ironing on something like a backpack, duffel bag, messenger bag or purse...or a clothing item like a jacket, button up shirt, pocket tee or jacket. I haven't decided what to do with it yet (I've never really used or purchased an iron on patch before), but those are my main options. What do you think? Where would you stick this? Let me know your thoughts/suggestions in the comments below!